Johns Hopkins University Press, 9781421402802, 353pp. Originally published in 1981, The 36-Hour Day was the first book of its kind. Thirty years later, with dozens of other books on the market, it remains the definitive guide for people caring for someone with dementia. 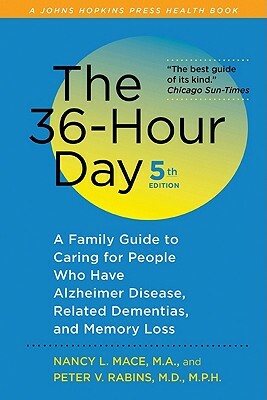 Now in a new and updated edition, this best-selling book features thoroughly revised chapters on the causes of dementia, managing the early stages of dementia, the prevention of dementia, and finding appropriate living arrangements for the person who has dementia when home care is no longer an option. Nancy L. Mace, M.A., is retired. She was a consultant to and member of the board of directors of the Alzheimer's Association and an assistant in psychiatry and coordinator of the T. Rowe and Eleanor Price Teaching Service of the Department of Psychiatry and Behavioral Sciences of the Johns Hopkins University School of Medicine. Peter V. Rabins, M.D., M.P.H., is the Richman Family Professor of Alzheimer Disease and Related Disorders in the Department of Psychiatry and Behavioral Sciences of the Johns Hopkins University School of Medicine. He has joint appointments at the Bloomberg School of Public Health in the departments of Mental Health, and Health Policy and Management. Dr. Rabins is also the director of the Division of Geriatric Psychiatry and Neuropsychiatry, the T. Rowe and Eleanor Price Teaching Service, and the Jane K. Schapiro Family-Centered Dementia Care Program.